Alec is Patron of Reading for St Peter and St Paul CE Primary School, Scunthorpe. 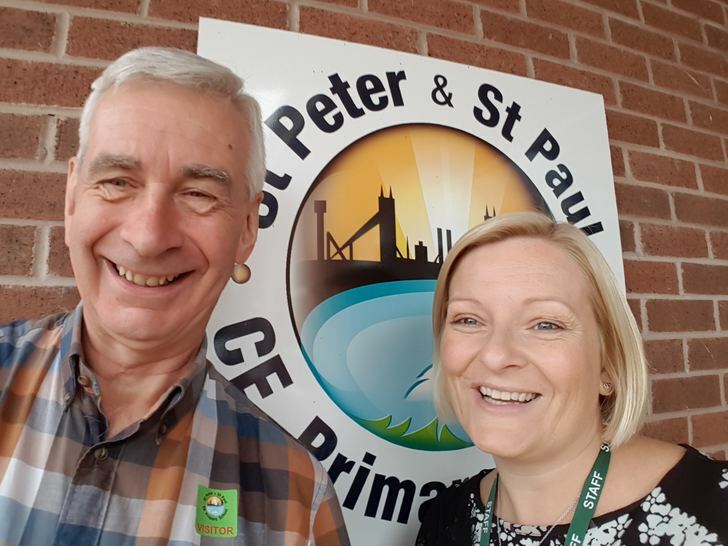 Alec met staff of St Peter and St Paul on 20th September 2017 to plan this exciting venture. He’s pictured below with Head Teacher Mrs Louise Cranidge, after discussing with her and teacher Mrs Jenny Winfield some of the ways in which his two-year appointment could help the school encourage children to enjoy stories and poems, and to read for pleasure. 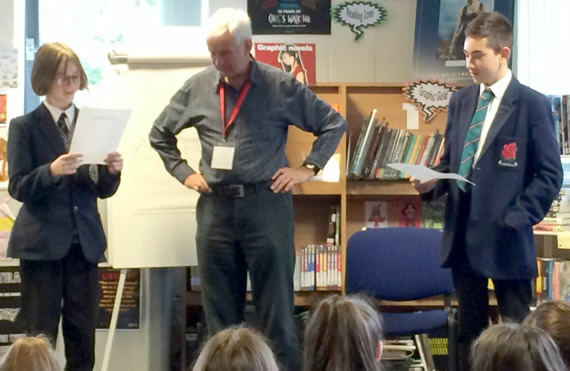 Alec’s time as Patron for St Peter and St Paul’s started with a storytelling visit on 2nd November 2017, when he told stories and shared poems with groups from Reception up to Year 6, including four bonfire night poems that he wrote himself, to give children ideas for their own writing! At the end of the school day, Alec gave an informal talk to parents. Keep checking this page, to find out more about what’s happening at St Peter and St Paul’s!